Honda B Series T3 ProAm Top Mount Turbo Manifold. 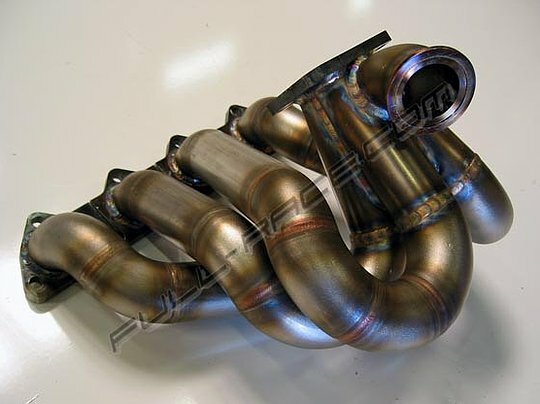 Introducing the new and improved Full-Race ProAm top mount turbocharger manifold! This manifold is designed primarily for Pro-AM/SFWD competitors looking to make as much power as possible. - Optimal downpipe placement for true 4.0 inch diameter piping. Constructed with a low angle taper directly at the turbine outlet, the ideal place for a conical diffuser. - Optimal turbocharger placement allows use of T3 sized turbines. - Flanged for single Tial 44mm wastegate only. - Thick wall stainless steel construction.